Nebraskans would receive a state income tax credit to offset part of their property tax bill under a proposed constitutional amendment heard Feb. 7 by the Revenue Committee. Introduced by Bayard Sen. Steve Erdman, LR3CA would place the amendment on the November 2020 general election ballot. If voters approve it, the Legislature would provide a refundable state income tax credit equal to 35 percent of the property taxes levied on real property in the state and paid by the taxpayer during the taxable year. Erdman said property taxes in Nebraska have outpaced the average property owner’s income and that reducing property taxes is the No. 1 issue for Nebraskans. Erdman said the proposed amendment would generate approximately $1.3 billion in income tax credits each year. If voters were to approve the measure, he added, it then would be up to the Legislature to decide how to fund it. Paul Von Behren of Fremont, who testified in support of LR3CA, said the open-ended nature of the proposal is its main virtue. The measure would set property taxes roughly equal to income and sales taxes, he said, leaving the Legislature to hammer out the details of funding local governments, the entities that levy property taxes. Ed Truemper of Ashland also testified in support, calling the proposal a “dramatic change” that nevertheless can be paid for. Testifying in opposition to the resolution was Nicole Fox, director of government relations at the Platte Institute. She said the best way to reduce property taxes is to limit the property taxing authority of local governments, something the proposed amendment would not do. The measure instead could lead to higher income and sales taxes, hurting the state’s economic growth, Fox said. “Unfortunately, we can’t just pay people 35 percent of what they pay in property taxes without either making major cuts to the budget or enacting very large state tax increases,” she said. 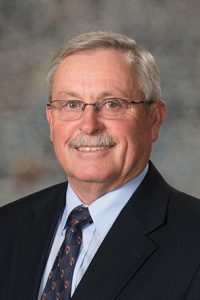 Larry Grosshans testified in opposition on behalf of the Nebraska Association of School Boards and the Nebraska Council of School Administrators. He said the proposal would not reduce the state’s overreliance on property taxes to fund schools and local governments or address the disparity between property taxes and state sales taxes. The committee took no immediate action on the proposal.